How to fake 8 hours of sleep with makeup ? This task is easy thanks to new foundation from YSL Beauty: Touche Éclat Le Teint has new highly innovative, light formula that captures the perfect lightning to reduces the look of fatigue to create a radiant look, for a naturally beautiful, glowy and well rested skin. As a night owl, and not only because I often blog at night, I rarely succeed in having a good beauty sleep and therefore such a product is a life saver, just like the right highlighter, and YSL Touche Éclat is by far the most iconic pen highlighter, so versatile and easy, a real must have in everyone's makeup stash ! This limited collector slogan edition of YSL Touche Éclat has the same formula of the best selling highlighter and concealer, in a beautiful rock captivating packaging, with three available slogans to choose from: No need to sleep, I am not a morning person and All lights on me. I got the No need to sleep version, and it's just my state of mind: sometimes I feel sleeping is almost a waste of time, with all the things I want to do ! Just like I love to wear slogan t-shirts, this limited collector edition of YSL Touche Éclat, a golden pen that is a cult beauty tool, a real beauty magic wand, is too cute to miss ! Come fingere otto ore di sonno con il trucco ? Questo compito è facile grazie al nuovo fondotinta YSL Beauty: Touche Éclat Le Teint ha una nuova formula altamente innovativa e leggera che cattura l'illuminazione perfetta per ridurre l'aspetto affaticato e creare un look luminoso, per una pelle naturalmente bella, radiosa e riposata. Da animale notturno quale sono, e non solo perché spesso bloggo di notte, riesco molto raramente a farmi un bel sonno di bellezza e pertanto un simile prodotto mi salva la vita, proprio come il giusto illuminante, e sempre di YSL, il Touche Éclat è l'illuminante in penna più iconico, versatile e facile da usare, un vero must have nel beauty case di tutte ! L'edizione limitata collector slogan edition del Touche Éclat YSL ha la stessa formulazione dell'illuminante e correttore più venduto, in un packaging rock e accattivante, con tre diversi slogan tra i quali scegliere: No need to sleep, I am not a morning person and All lights on me. Io ho la versione No need to sleep, e sembra davvero lo slogan della mia vita: a volte dormire mi sembra uno spreco di tempo, con tutte le cose che vorrei fare ! Adoro le t-shirt con gli slogan, e questa edizione limitata di YSL Touche Éclat, la penna dorata che è un attrezzo beauty cult, una vera bacchetta magica di bellezza, è davvero troppo carina, da non perdere !. My review of YSL Touche Éclat Le Teint foundation and YSL Touche Éclat collector slogan edition: no need to sleep ! La mia review del fondotinta YSL Touche Éclat Le Teint e del Touche Éclat YSL collector slogan edition: no need to sleep ! Thanks for reading and commenting Fashion and Cookies fashion and beauty blog ! Ciao Vale! Comprai il touche èclat molto tempo fa e lo amai come correttore ed illuminante, una volta finito non l'ho più ripreso per smaltirne altri ma ora che ne è uscita una nuova versione devo assolutamente riprenderlo! Il tuo make up è bellissimo!!!! Sicuramente è un ottimo prodotto !!! Non ho dubbi!!! How amazing! My mom uses the pen version all the time and constantly raves about how good it is! I've always wanted to try...but it is a little out of my price range. Your makeup is always flawless, Vale! Simply beautiful! I don't think I have ever tried YSL products, but they sound wonderful! OMG! I want something like thissss! This is an eye catching campaign. Have a fab Sunday beauty! No need to sleep promette davvero bene!!!! Buona domenica delle palme bellissima! This sounds like a great foundation! I have a Touche Eclat concealer and really like it too...still need my sleep though ;) Have a great day! Il Touche Eclat è meraviglioso! Great review! Beautiful products! These foundation seems to be great! Mi piace questa linea! Ottima review Vale! 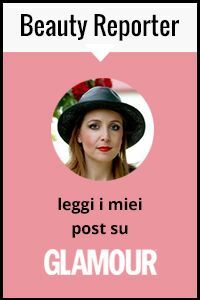 Questo fondotinta me lo devo proprio provare! Un bacione Cara! ps: adoro il tuo smalto! Questo sembra davvero il fondotinta perfetto, sarei curiosissima di provarlo! These are grand colors and they look even better on you. Thanks for this review and the recent following of my blog. I look forward to your posts. Vale, il tuo makeup è meraviglioso! Il Touche Eclat no need to sleep mi incuriosisce molto! Kisses and happy week, ChicAdicta! These sound like lifesavers! They look amazing and flawless on you. Fantastic products I definitely want!